A privacy watchdog group in the UK is calling for a ban on automated face recognition technologies after a report revealed staggeringly high false-positive rates. Big Brother Watch has released a report, titled “Face Off: The Lawless Growth of Facial Recognition in UK Policing,” detailing abuses of the tech, which the watchdog group calls a “threat to the fundamental rights” of citizens. “We are deeply concerned that the securitisation of public spaces using biometrically identifying facial recognition unacceptably subjects law abiding citizens to hidden identity checks, eroding our fundamental rights to privacy and free expression,” the report reads. If someone is misidentified as a criminal or flagged, police may engage and ask for further identification. Big Brother Watch argues that this amounts to “hidden identity checks” that require people to “prove their identity and thus their innocence.” 110 people were stopped at the event after being flagged, leading to 15 arrests. Simply walking through a crowd could lead to an identity check, but it doesn’t end there. 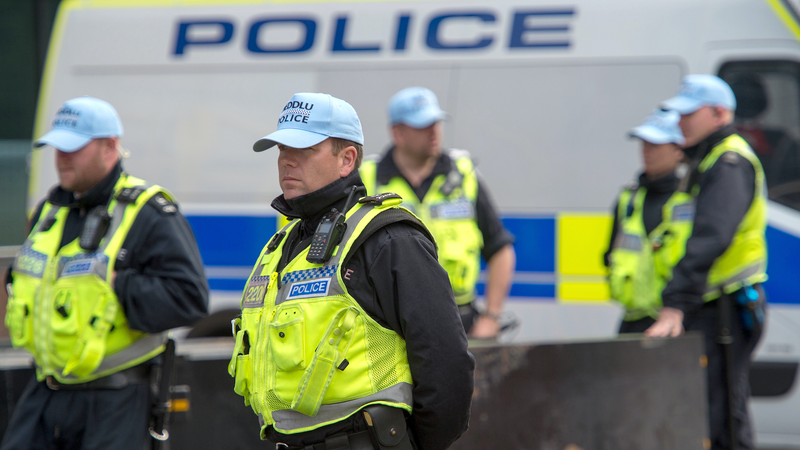 South Wales reported more than 2,400 “matches” between May 2017 and March 2018, but ultimately made only 15 connecting arrests. The thousands of photos taken, however, are still stored in the system, with the overwhelming majority of people having no idea they even had their photo taken. The group has raised the issue of image retention for innocent people before, including back in March, when UK officials deemed it “too expensive” to remove the mugshots of innocent people from their databases. The mugshots still aren’t being removed, yet police are still taking photos, thus still accruing biometric data on scores of people who haven’t committed a crime. Big Brother Watch is calling for an immediate removal.